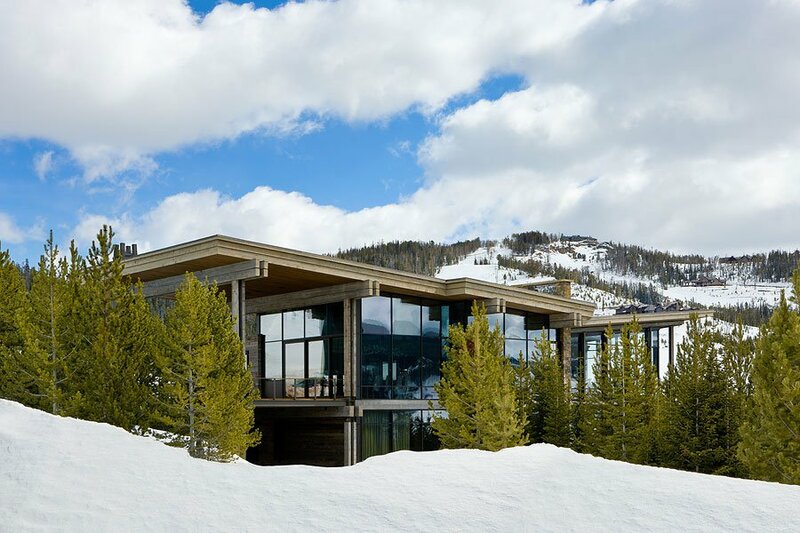 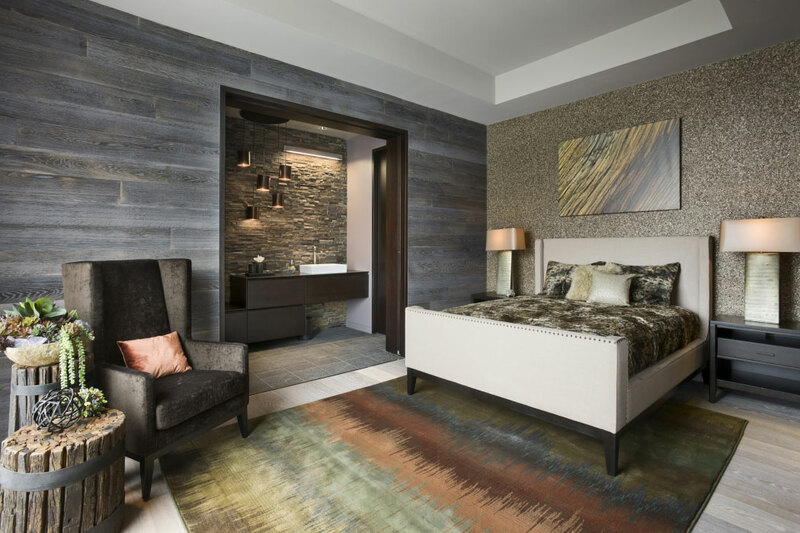 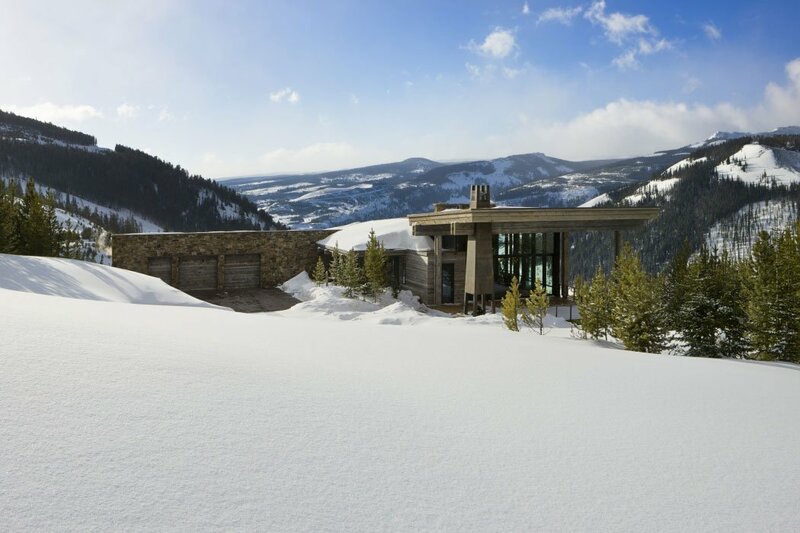 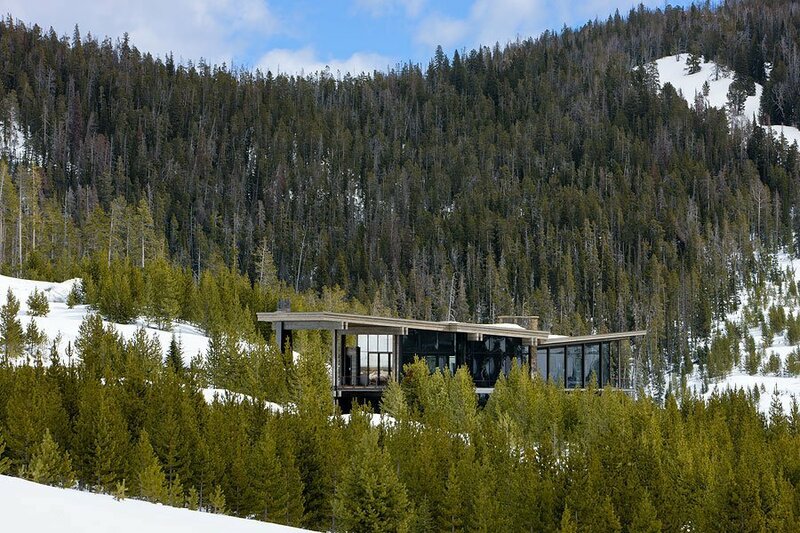 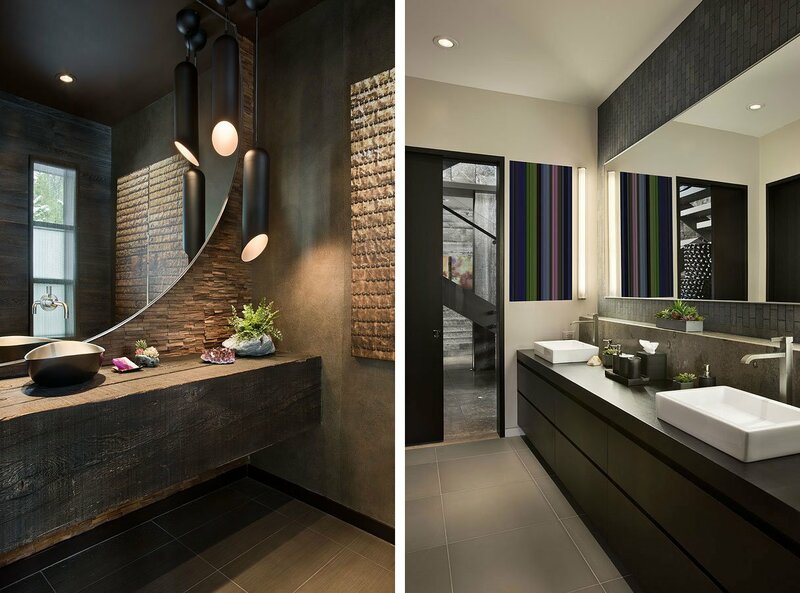 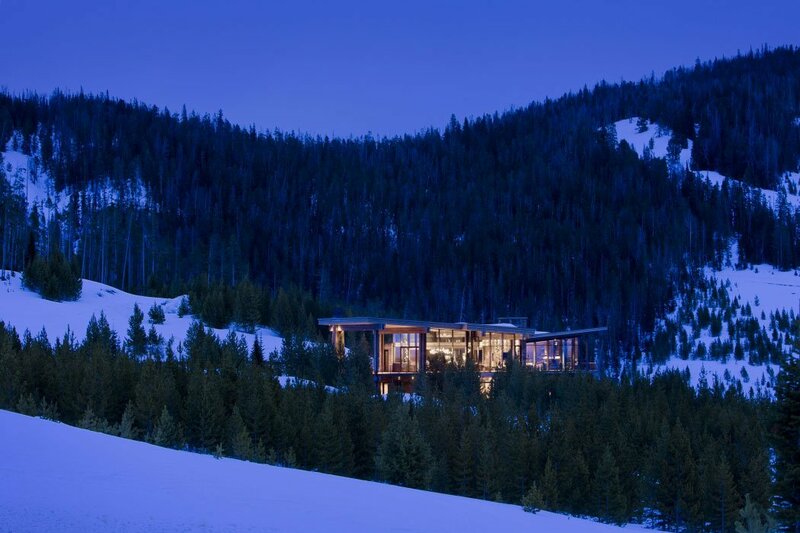 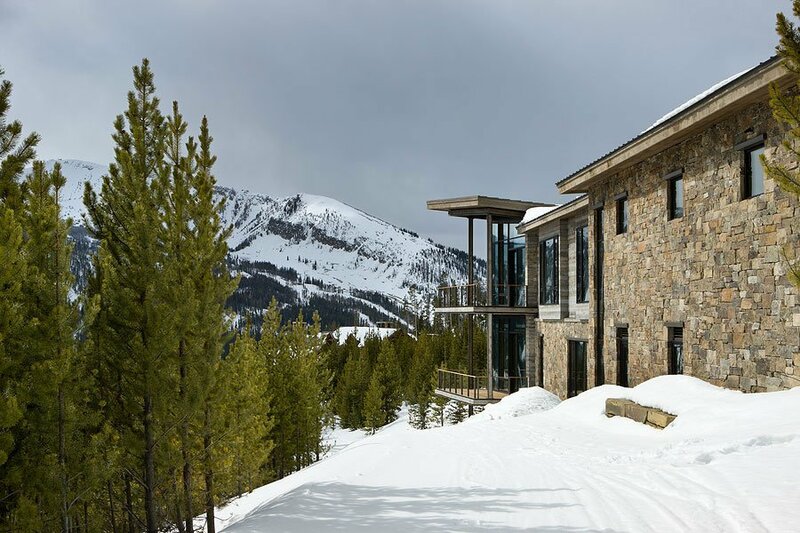 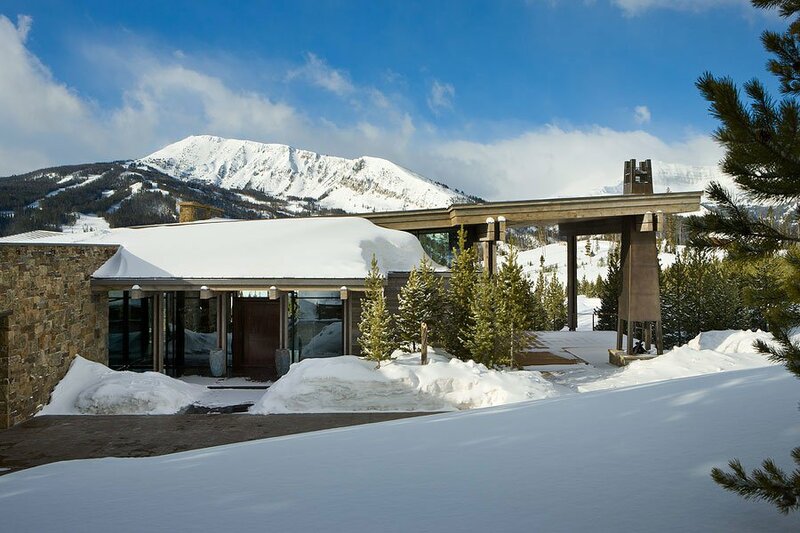 The Lower Foxtail Residence is a diamond in the rough – a sparkling house of glass and clean lines tucked in among predominantly rustic cabins in the Yellowstone Club. 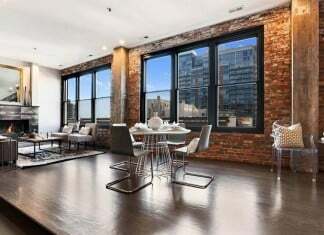 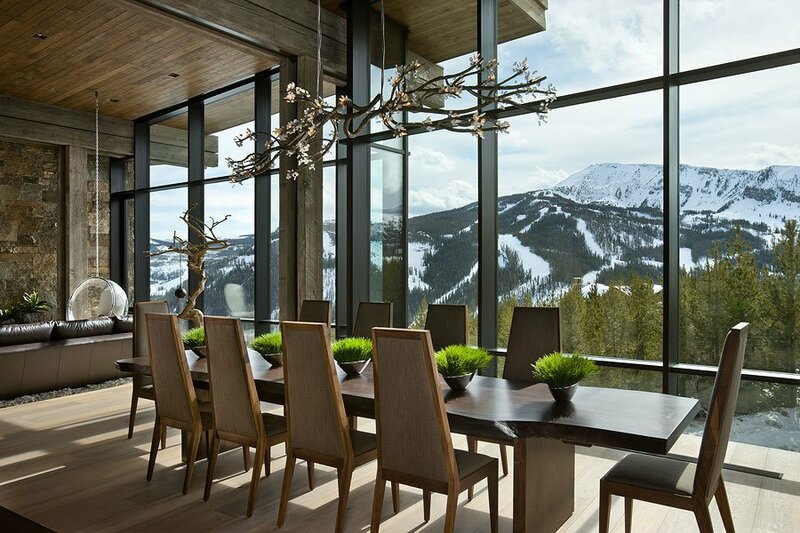 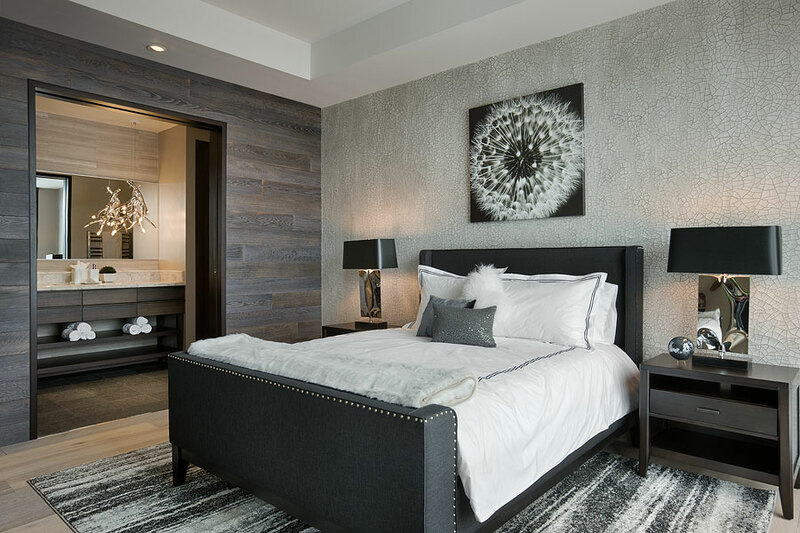 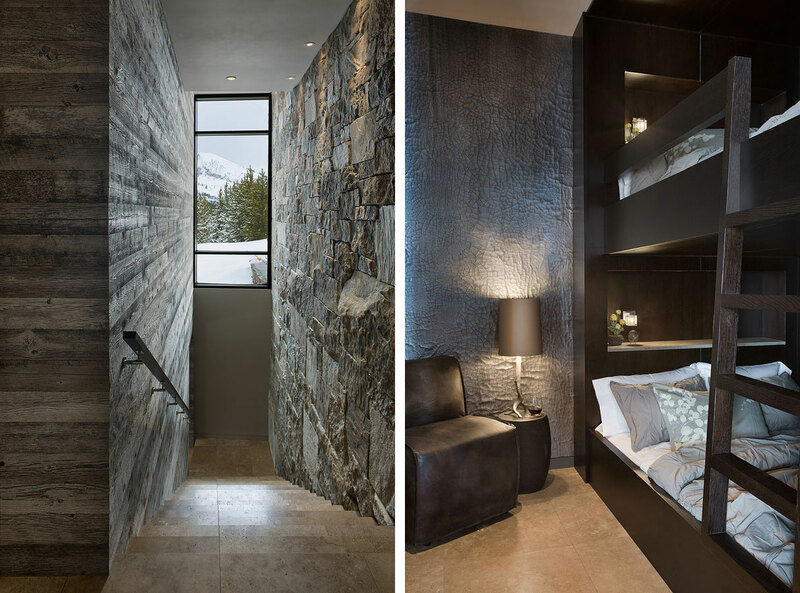 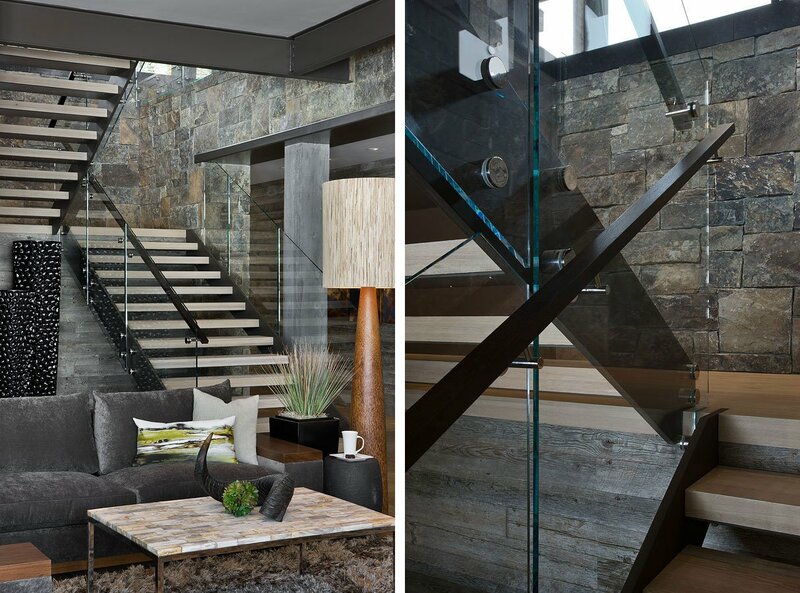 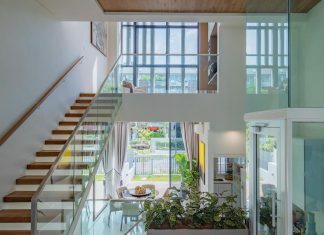 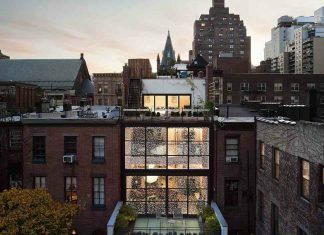 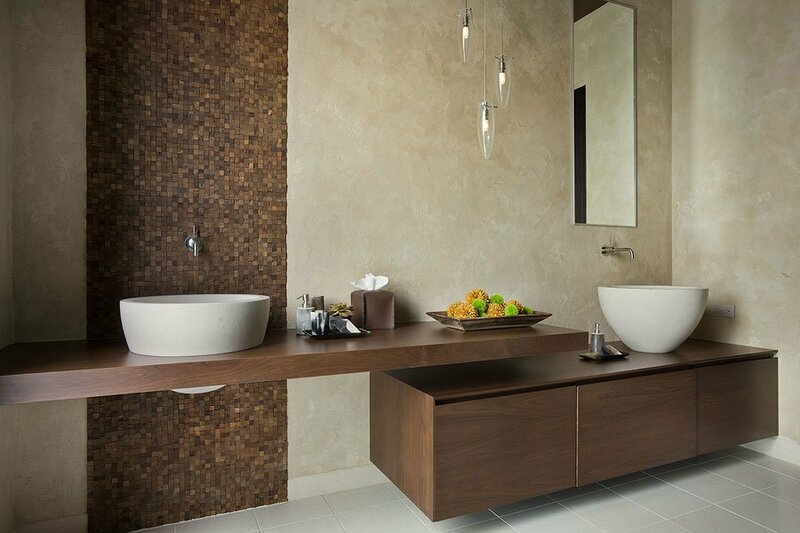 The entire South-facing wall is constructed of triple-pane Unilux windows to capture stunning views of the surroundings. 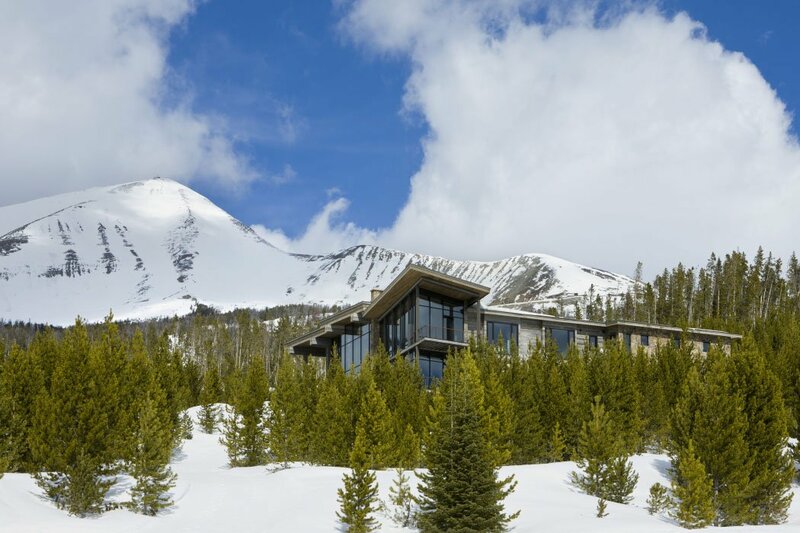 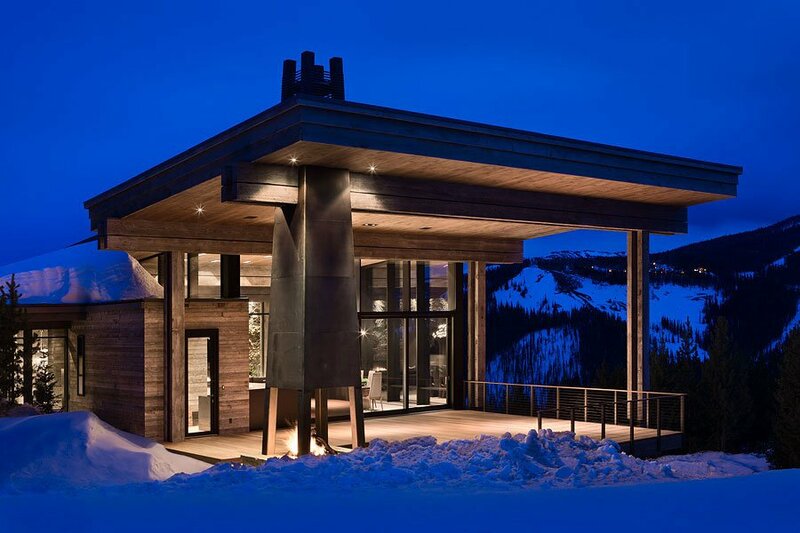 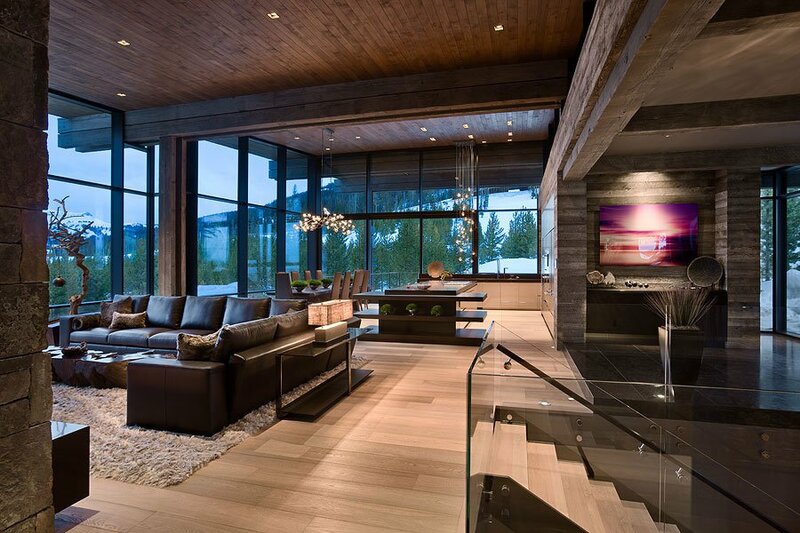 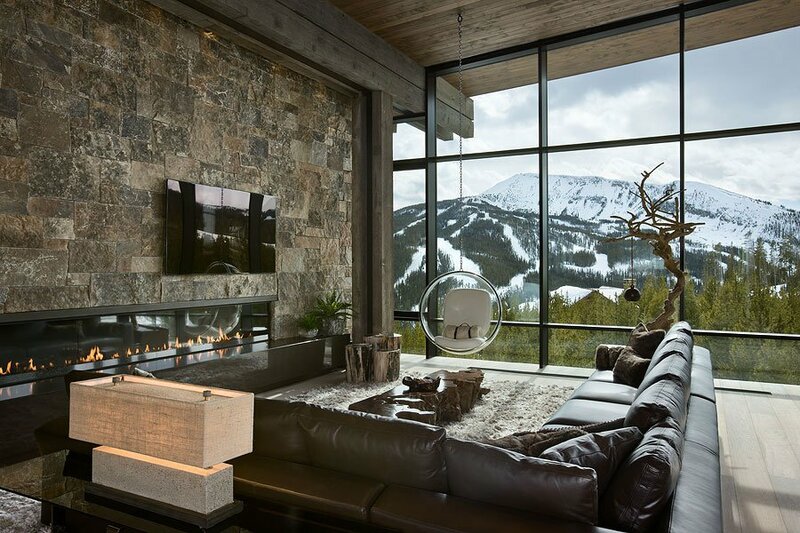 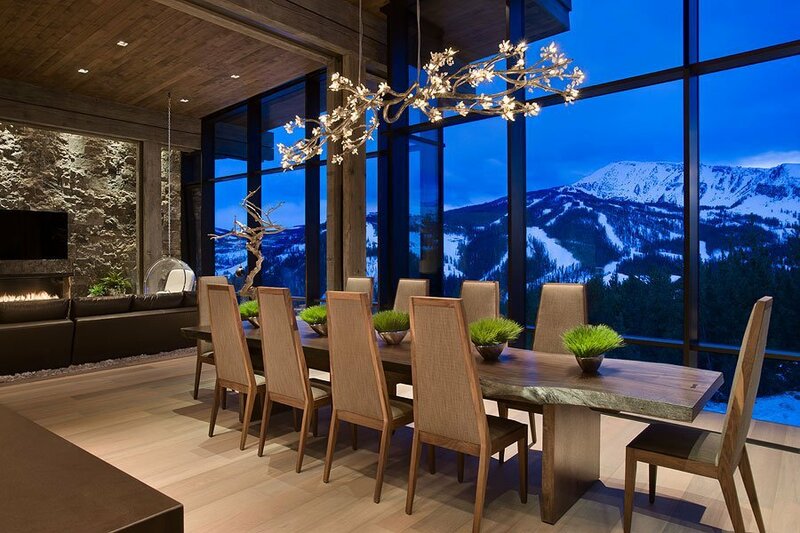 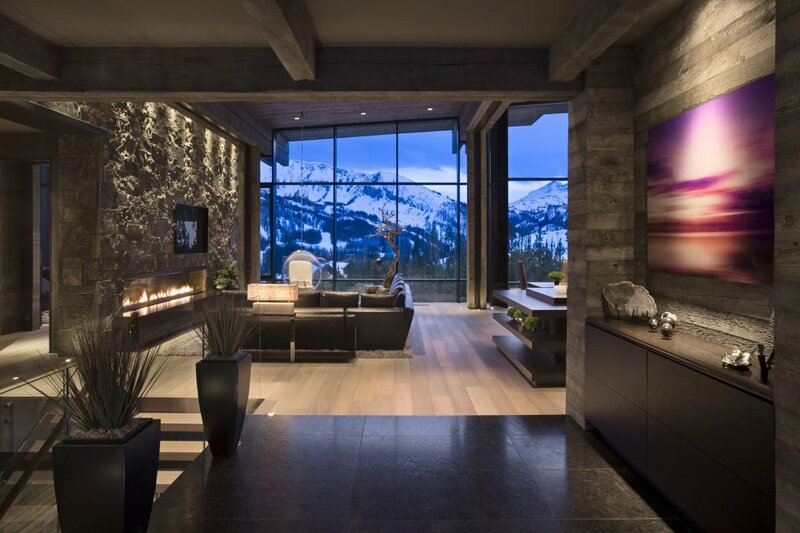 This house in Big Sky, Montana was designed by Reid Smith Architects and sets the bar for energy efficient modern homes in the Rockies.